The trip is booked and your countdown has started. The work days are numbered, the house is in order, and you’re excited to finally use (and enjoy) those hard earned vacation days. You can’t wait to do a bit of relaxing, exploring, or whatever you enjoy most in your travels. Only one obstacle stands in your way-- actually getting there. Working your way through airport security and partaking in the ever popular "hurry up and wait" scenario-- all to be stuffed in a sardine can for a grueling number of hours. 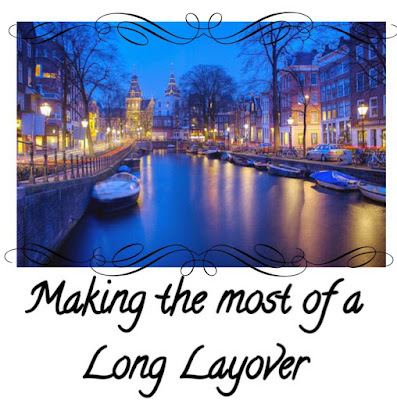 You most likely have to make connections involving longer than wanted (or needed) layovers-- only taking away from those precious days off work. Last December while venturing home for Christmas and back to the US for the first time since our relocation to Abu Dhabi-- we decided to do a 24 hour layover in Amsterdam. This option was available and caught our eye while booking our tickets home. There wasn’t a noticeable difference in price and we thought-- hey why not? 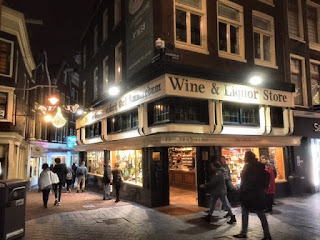 Opting for the extended layover gave us the chance to break up our 18 hours of flight time (plus several hours in stop over time) and explore a bit of the Netherlands while we were at it. The only real cost was paying for night in a hotel-- which isn’t so bad when you are handed the opportunity to enjoy a bucket list city in a country you’ve never explored before. We made sure to check our luggage all the way through to our final destination-- so we wouldn’t have to worry about carting it around the city and rechecking the next day. We packed and carried on an overnight bag and off on our adventure we went. 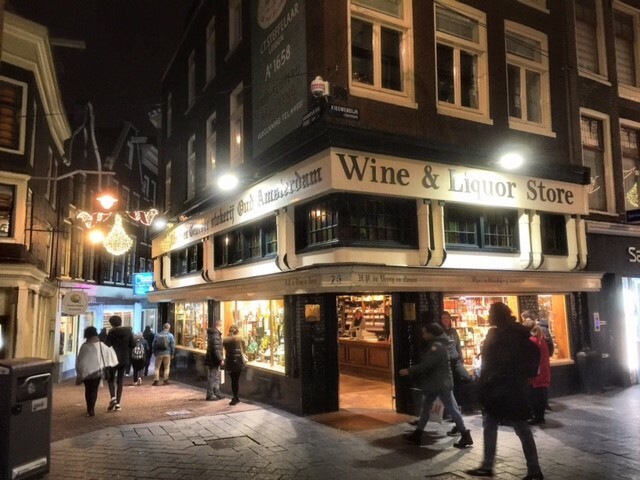 A wonderful aspect about a long layover in Amsterdam is very little time is required to travel from Amsterdam Airport (Schiphol) to downtown-- roughly 15 minutes by train. Just be sure to book a hotel close to the Central Train Station. We stayed in the Art hotel and it was a few minutes walk away-- not a difficult task when there is so much to visually enjoy. Click here for train information. 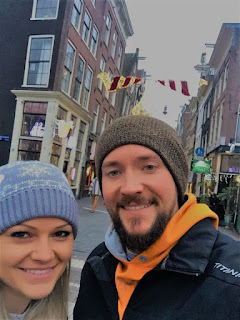 Once we dropped the overnight bags at the hotel, we spent the remainder of our evening exploring the city on foot, we did a little shopping, and indulged in a lovely meal before we turned in the for the night. There’s nothing like the unique architecture and endless waterways that is Amsterdam. While enjoying the sites in winter I can only imagine its beauty in the summer. December in Amsterdam was chilly, yet breathtaking. After spending time and acclimating to the Abu Dhabi heat, it was nice to feel a chill in the air again. We bundled up in our neglected winter clothes and absorbed as much of the city we could in the little time we set aside. After a good night’s rest in an actual bed, we were refreshed and ready for our last 10 hour leg. The best part of it all-- while it technically took a day out of our scheduled vacation, it didn’t feel wasted. Amsterdam was on our long list of travel destinations and one we had the opportunity to enjoy just through embracing an extended stopover. 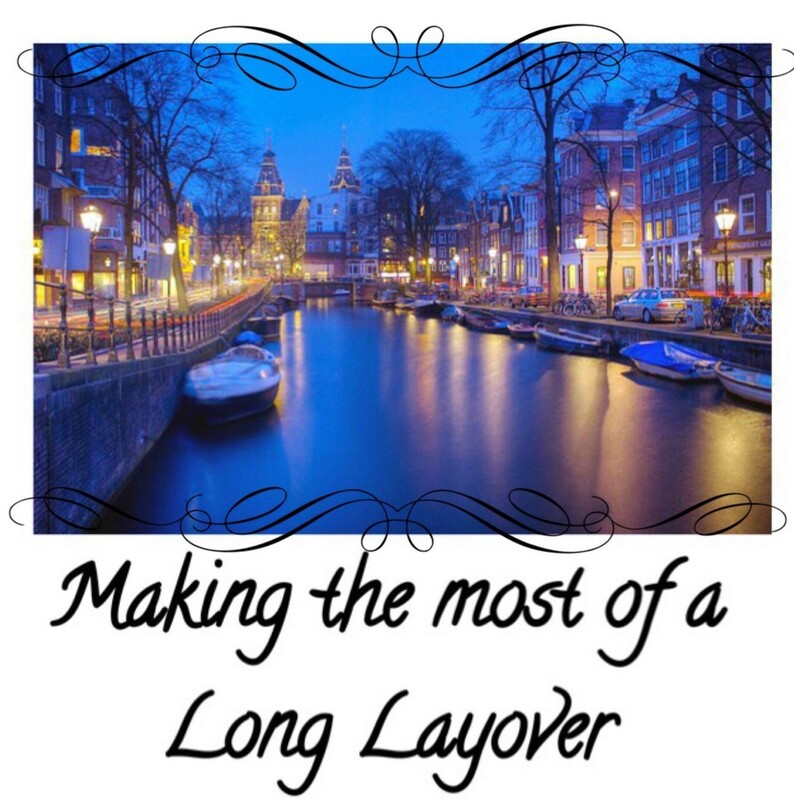 If you’re doing a long haul internationally, most likely there is the option to do a long layover. Just be on the lookout when booking those international flights, so you can make the most of your travels. So why not do the long layover, get some rest, enjoy the sites and be a little more refreshed after a long journey? We have really done a longhaul before but once we had a long wait between flight in South korea and we didnt hesited a second when we found out that we could leave the airport and there was several (have to choose according to your waiting time) free guided tour organised by the airport. So without planning in advance we got 6hours in Seoul. It was fun! You just made amsterdam my crush city lol :). Nice photos by the way. Its Awesome and Great Blog I do really wanna work with you Guys and I also have a Tour Company here in Tanzania,We can make it happen to work together Much Thanks to Ashley and Your Hubby. This is awesome! Maybe I don't need to be so worried about layovers anymore! We're actually planning a long layover on purpose in Iceland. Thanks for sharing your experience! Great use of time for a layover! I also opted for a 24 hour layover in Amsterdam last year. The decision was 110% worth it. Amsterdam is an incredible city. Yes, I want to do one of those Iceland layovers. I have been really wanting to go and that would make it more affordable. Great idea! I'm actually booked for a trip to Amsterdam in the spring! Can't wait!